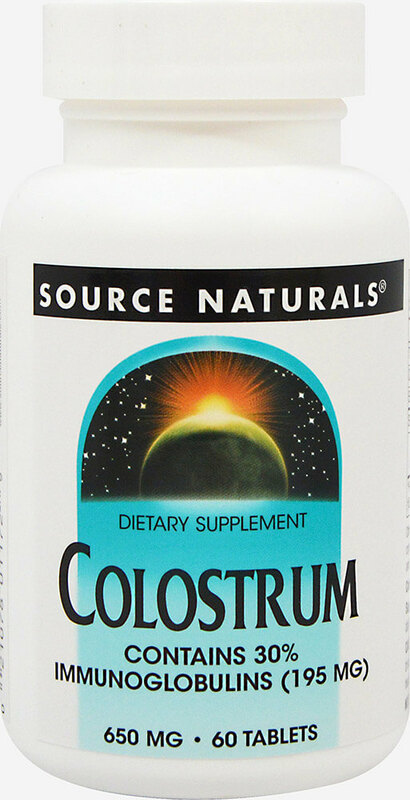 Colostrum is a unique food supplement, rich in a variety of biologically active proteins including immunoglobulins. Source Naturals Colostrum is true, bovine colostrum (not cheese whey), collected with in the first 12 hours of production. It is then standardized so that certain key proteins found in colostrum make up 30% of the finished product.